New Delhi: One of the senior Judge of Supreme Court, Justice Jasti Chelameswar has sought a full-court discussion from Chief Justice of India Dipak Misra in a letter over the alleged government interference in the appointment of judges to high courts, Press Trust of India, a top news agency has reported. 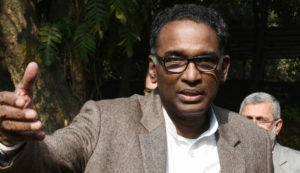 In a written letter to the Chief Justice of India, Justice Chelameswar demanded the attention to what he termed as “bonhomie between judiciary and the government”. “Let us also not forget that bonhomie between Judiciary and the Government in any State sounds death knell to Democracy. We both are mutual watchdogs, so to say, not mutual admirers, and much less constitutional cohorts,” Justice Chelameswar wrote in the letter. Four senior Supreme Court judges went public with complaints against Chief Justice Dipak Misra in last January and Justice Chelameswar was one of them. At the unprecedented press media conference held by sitting judges of the top court, the judges had blown the lid off a growing rift with the Chief Justice of India. The other three judges who took part with them were Justices Ranjan Gogoi, Madan Lokur and Kurien Joseph. “I am of the opinion that this matter is now ripe for the consideration of the Full Court on the judicial side, if this institution really is to be any more relevant in the scheme of the Constitution,” Justice Chelameswar wrote in the letter written on March 21. 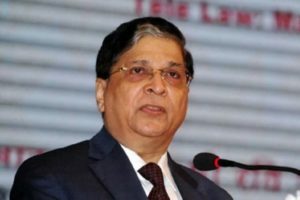 The letter was written by him on March 21 and the copies of the same were sent to 22 Supreme Court judges who have questioned about a probe which was started by the Karnataka High Court Chief Justice Dinesh Maheshwari against District and Sessions Judge Krishna Bhat at the instance of the Union Law Ministry, despite the fact that his name was recommended for elevation twice by the collegium, news agency ANI reported. Renewed efforts to get a response on the letter from the office of Chief Justice Dipak Misra did not bring any success. Other top legal professionals declined to comment over the issue. In 2016, former Chief Justice TS Thakur had asked former Karnataka High Court Chief Justice SK Mukherjee to start a probe against Judge Bhat for all the allegations made by a subordinate woman judicial officer. As the probe have given him a clean chit, Judge Bhat’s name was recommended by the collegium for elevation. “Someone from Bangalore has already beaten us in the race to the bottom. The Chief Justice of Karnataka High Court is more than willing to do the Executive bidding, behind our back,” Justice Chelameswar wrote in his six-page letter. 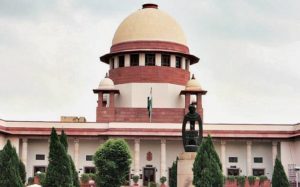 The top court judge took serious note of the communication that took place between Karnataka High Court Chief Justice Dinesh Maheshwari and the executive, saying, “The role of the High Court ceases with its recommendation.” He said any correspondence, either for clarification or otherwise, has to be directly between the executive and the Supreme Court.